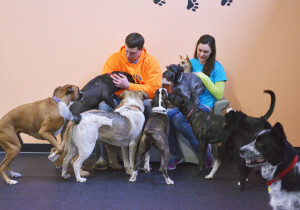 Zipidy Do Dog Daycare is located in Redmond, Oregon that offers Dog Daycare, Dog Boarding & Overnight Care, Dog Grooming, Dog Walking and a Dog Shuttle service. We are open Tuesday – Friday for our Dog Daycare Program and by appointment for Dog Grooming, Dog Boarding & Overnight Care, Dog Walking, and our Dog Shuttle services; appointments available any day of the week so please call and let us know what you need! Zipidy Do Dog is owned by Corey Clark and Ally Wattenburger. Both Corey and Ally are Central Oregon Natives, born and raised in Redmond, Oregon. Ally has dog experience working at the Humane Society of Redmond (now Brightside Animal Center), Willamette Humane Society, Velvet Touch Grooming, and Dancin’ Woofs Compassionate Dog Training and Daycare. She went to school at Western Oregon University and earned a Bachelor’s degree in Criminal Justice, her idea was to become an animal control officer. 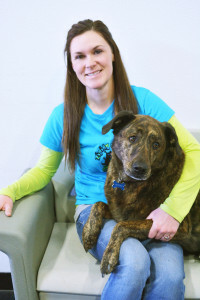 With lack of demand for Animal Control positions around Central Oregon, Ally has followed her love for animals and ventured into this new and exciting business where her experience and passion for dogs can benefit the community. Corey is a licensed real estate agent at Century 21 Gold Country and he took many college courses in business management and marketing. Corey is combining his love for dogs with his education and experience in business to open this exciting new dog care facility. Corey and his family are very involved in the dog community. Corey is a committee member for the Brightside Animal Center’s Red Dog Classic which is a golf tournament fund raiser averaging over $10,000 every year for the animals. Corey’s grandparents, Jo and Phil Weigand, donated a majority of the funds needed in order to open Redmond, Oregon’s only dog park, “Weigand Family Dog Park.” They are also the largest financial donors to the Brightside Animal Center where both Corey’s grandma and mother, Mary Crose, spend countless volunteer hours.